NINGBO KLS ELECTRONIC CO.LTD was founded in 2002. KLS has been granted ISO9001 management system certifications. KLS has supplier assessment reports No. : 4488700_T For BUREAU VERITAS. 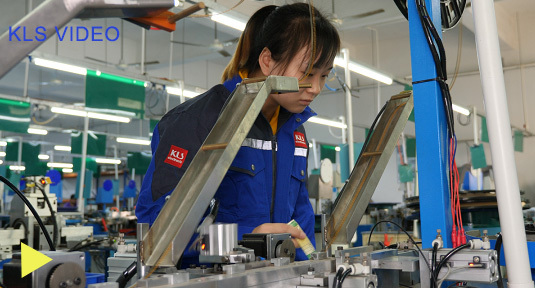 KLS has developed into a comprehensive group of electronic components,it has more than 10 wholly-owned and holding subsidiaries,With sales volume of over 20 million USD, KLS consecutively ranks among Top 10 Ningbo China Enterprises. The main business line of the company include importing and exporting of electronic, elements and products, processing with supplied materials, samples and blueprints,sales & purchase agents, Searching for customer non-standard goods amongst vast products data sheet. KLS has been adhering to the principle of Our good service,serving the customers with high-quality electronics products,80% of products have UL VDE CE ROHS certificate. KLS sales network covers the whole USA, Germany, UK, Japan, South Korea, South Africa,Russia,Brazil…… more than 70 countries and regions, works closely with local distributors to provide faster response, more comprehensive local service and technical support. You are searching for creditable and professional supplier to work with; we are also looking for sincerely and long-term customers. Once we find each other, we could make rapid progress together!